Orange is THE color to wear today. It's Queen's Day! 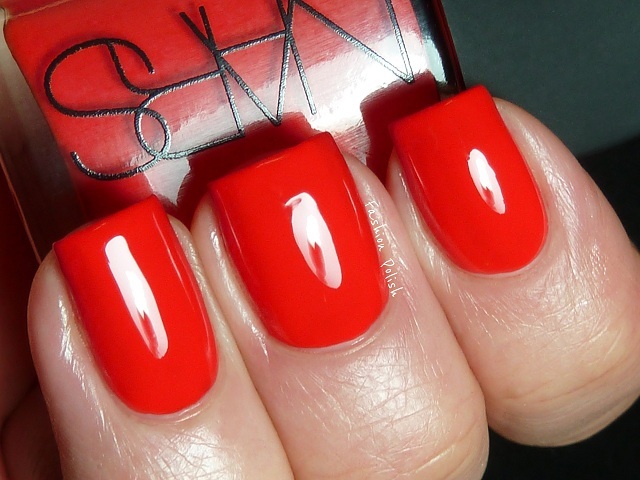 Nars Lal Mirchi is the only polish from the Takhoon collection that I could justify buying. 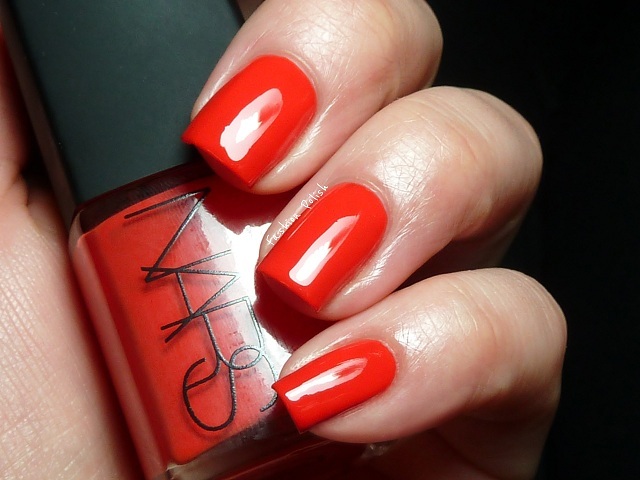 Fantastic bold red orange with an outstanding formula, it applied like a dream, smooth and so easy to work with in almost one coat. You're looking at 2 coats plus topcoat here. Have a gret Queen's Day girls! What a gorgeous polish!! So shiny and juicy! Juicy!!! I may have to seek this out! I love this color so much, but because I love it so much I already have 3 or 4 others that look similar lol!!! Stunning color! I love the accent nail too!